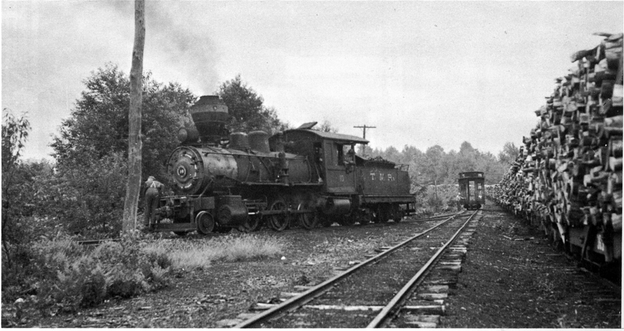 The Tionesta Valley Railroad was founded in 1879 to support a growing need for lumber and wood by-products. 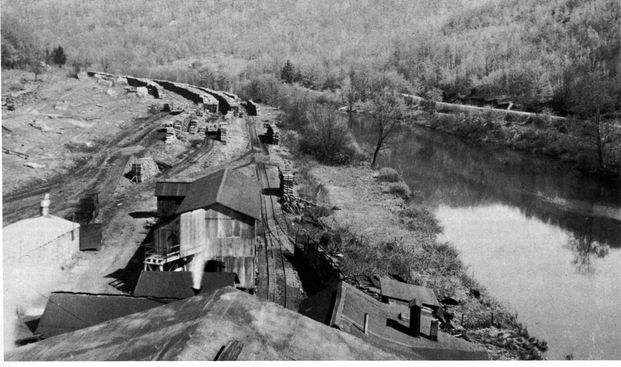 The TVRR was a subsidiary of the Central Pennsylvania Lumber Co. whose large sawmill complex was located in Sheffield, PA. No part of the tree was wasted. 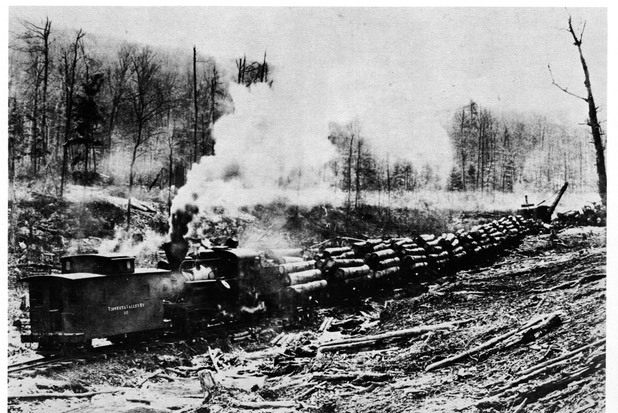 Besides the obvious lumbering industry and pulpwood paper industry that sprang up in the pine, hemlock and hardwood forests of Northwestern Pennsylvania, chemical plants and tanneries boomed in this region, leaching valuable tannins from hemlock bark for conversion into tannic acid, critical to preserving and softening animal hides. The TVRR also supplied passenger service. 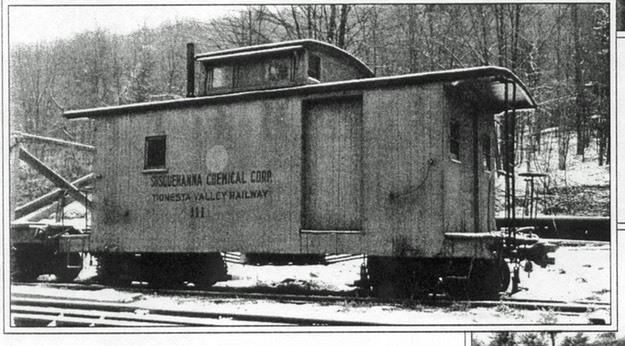 The Tionesta Valley Railroad was bought out by the Clarion Chemical Company and run until 1948. In 1948, the tracks were torn up. 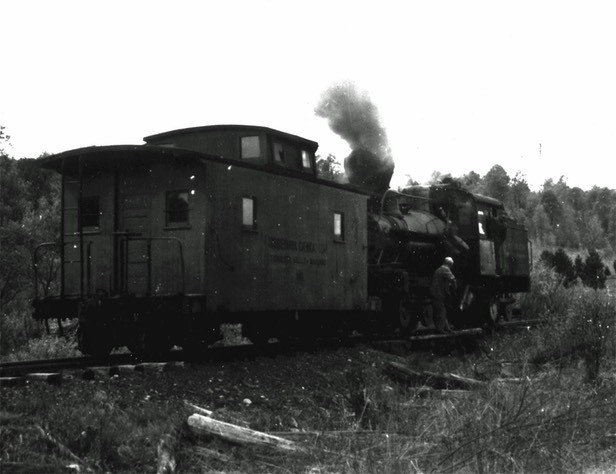 This widely published photo from the U.S. Forest Service shows Caboose #111 as part of a logging train. This photo was taken in the 1930's during their last big timber operation. After the TVRR/Clarion tracks were torn up in 1948, much of the rolling stock ended up in private hands. 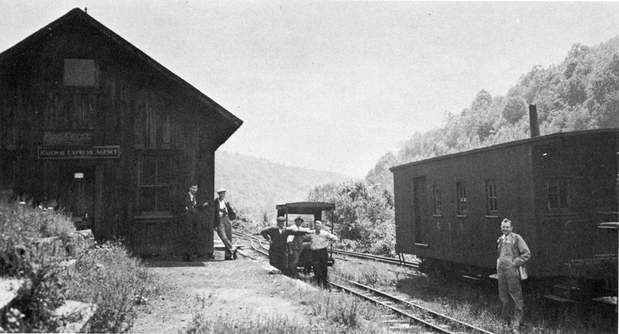 Caboose #111 was owned by Mae Golden of Hallton, PA. Mae's father was the stationmaster for the TVRR's Hallton Depot (see earlier photo). 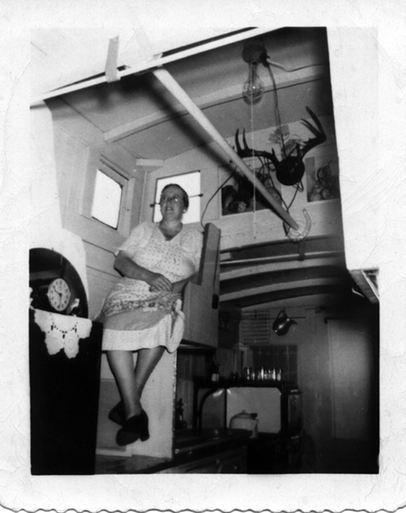 Here, Mae Golden poses in the TVRR Caboose #111 in Hallton, PA in ~1951. During hunting season, Mae would serve food from the caboose to passing hunters. CAMA received Caboose #111 from Mae just prior to her passing away in 1993.